My name is Konstantinos Anastasopoulos and I live in Athens, Greece. I have studied fine arts and graphic design. I am a painter with some solo and group exhibitions arround Greece. 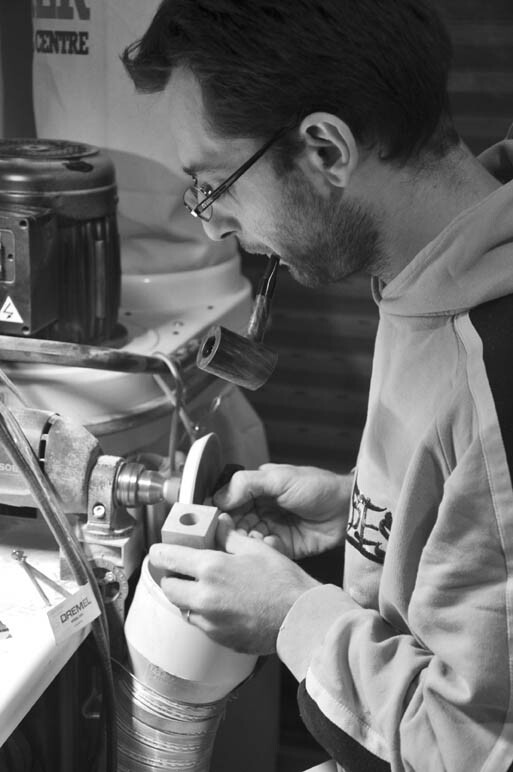 I started pipe carving in 2011 with Kostas Gourvelos, as my teacher. I make handcrafted smoking pipes made of the best possible Greek briar, but also looking for best qualities from other countries as Spain and Italy. For the stems, the finest german acrylic or ebonite are used. Furthermore, playing around with other insert elements as exotic woods and rings are an insiration. The most importand fact, in the smoking pipe, you will enjoying, is the inner architecture and drilling, that provides the most pleasurable smoking experience, in combination with the best briar. Besides the classic shapes and their variations, I like to make some more artistic designs and I always try to make them as beautifull as I can.